Durable nylon bag with a tip tube. 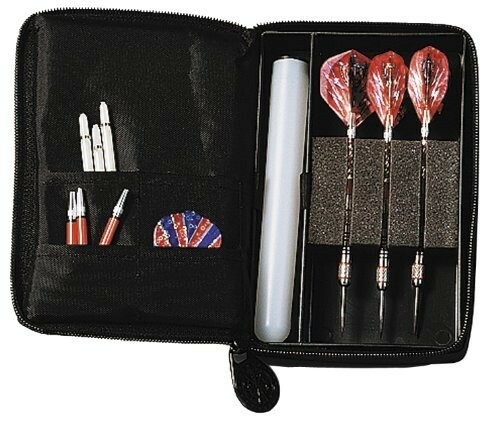 Bag for 1-2 sets of mounted darts and additional compartments for flys and spare shafts. Without content. To store replacement tips, there is a Dartröhrchen in a separate compartment. 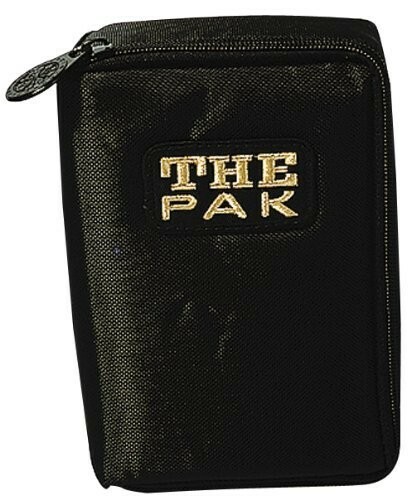 On the back is a practical belt loop with Velcro attached. Design: black, red, royal blue, yellow, neon orange, leopard.